Some time ago, I decided that I wanted to start putting together a home theater system. 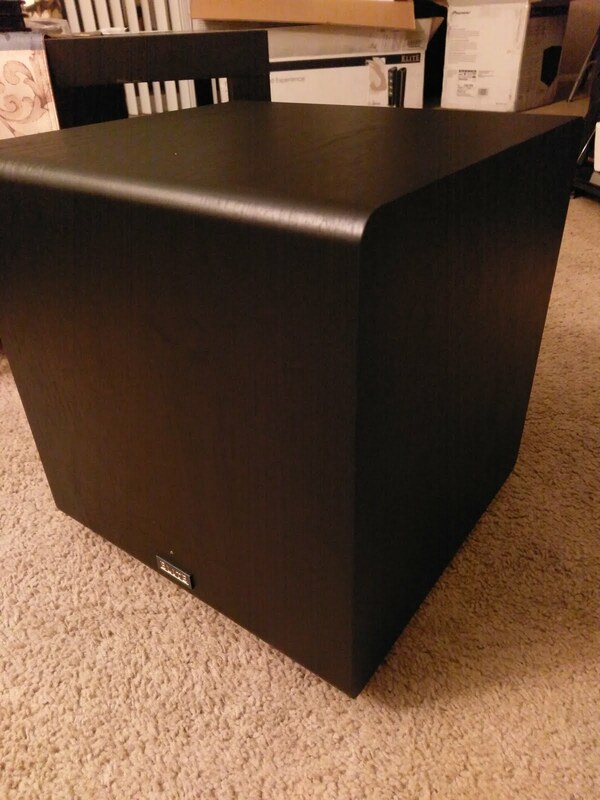 Home theater / entertainment generally involves having a decent sound system, of which I had none. 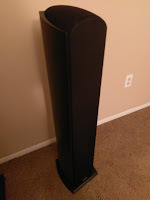 I had been skating by with the speakers built into my TV. Built in speakers produce some sound, but since integrated speakers are never usually very good, that's about all that can be said about them. So that's where this starts. 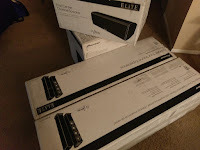 Shopping around for a good set of speakers and AV receiver took me to many sites, of which Massdrop was the final destination where I ordered a bundle of Pioneer Elite speakers and an SC-LX701 9.2 channel network receiver which would be at the center of everything. Both were available for about 50% off retail prices. We'll get to the receiver in a bit, but I picked up the speakers from the local FedEx office after work today. 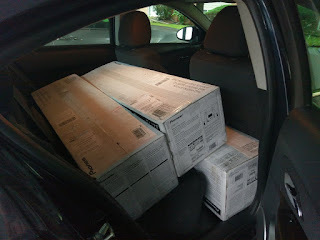 They came in four boxes, all a bit larger than I was expecting, and subsequently taking up most of the space in my car. I opened everything up when I got home. 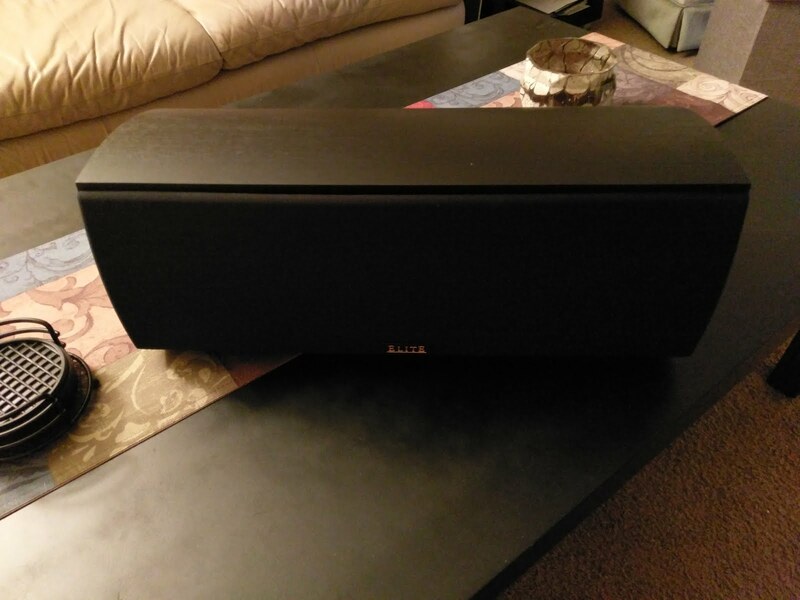 The speakers look pretty good and feel well made, but unfortunately I don't know how they sound yet and I might not for a while. Massdrop is a market based on volume ordering. Products need to have a minimum number of buyers for the orders to be placed, which is precisely what didn't happen with the receiver I tried to order. But I may need to do some homework before ordering another receiver. These are pretty high end speakers, with a 4 Ohm nominal impedance. From what I've been able to gather, 4 Ohm is often reserved for high end equipment, with most speakers being either 6 or 8 Ohm impedance. The manual specifically says these should be paired with a receiver designed for 4 Ohm loads and if that's the case, my options are probably limited and probably not cheap. The SC-LX701 is probably up to the task, but I suppose some additional research would be in order, since I didn't take that into account the first time. seemed the most convenient. i think i tried hosting one on azure but ultimately didn't stick with it.